Lunch Supervision Fee: to meet the payroll of the supervisors. If your child is resistered full-time in the school daycare, this fee is included in the $7.00 per day program. The start of the day is very important in the routine of a child. Students line up in front of the school or in the basement corridor in inclement weather. Children who are late miss the opportunity to socialize with their classmates, prepare for the day and receive important information during the homeroom period. Attendance is taken at this time. If your child arrives after the children have entered the building, they are to report to the office to avoid errors in the attendance report. If your child is going to be absent for the day, please telephone the school to inform the office. This will avoid unnecessary phone calls as, for safety reasons, parents/guardians are called for an unaccounted absence. If you bring your child to school please note that the busses are generally unloaded and gone by 7:55. This allows you to drop your child safely at the school yard on Park Place or on Melville. Be on time (10 minutes before scheduled bus arrival). Carry a bus pass at all times. Remain seated on the bus. Respect the authority of the bus driver. Keep your voice down (inside voices only). Keep windows closed unless the bus driver gives permission to open them. Keep your head and arms inside the bus. Do not throw things out the window. Rudeness and anti-social behaviour are not acceptable. There is no eating or drinking on the bus. 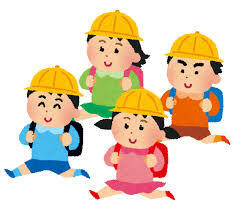 Students should carry a schoolbag and a lunch container. No large objects are allowed. If on occasion, a student is not going to use the bus, parents/guardians must inform the office in writing. Bus children may not walk home or take public transit without written permission from a parent/guardian and acknowledgement from the school. Please note: All Pre-K, K and Grade 1 students must be met at the bus stop by an adult when returning home. If no one is at the stop, the bus driver will return the student to the school and a parent/guardian will notified to pick up the child. Students are to leave the school grounds immediately after school ends. Children are not to cross the road between the busses. Students who bike to school are expected to wear a helmet and must walk their bike when on school property. Skateboards, scooters and rollerblades are not to be brought to school. If you pick up your child by car, please be aware that passing a bus when the boarding lights are flashing is a traffic offence. Police monitor the situation periodically and will give fines. As these items cause distractions in class and can result in loss, theft, incidents of bullying and inappropriate behaviour. Articles will be confiscated and will be returned to a parent/guardian. The school is not responsible for any lost, stolen or damaged personal items. The “Lost and Found” is located outside the Daycare Office on the ground floor. Students should try to retrieve lost articles as soon as possible as unclaimed items are donated to charity every 8 to 10 weeks. If clothing is labeled with the child’s name, an effort will be made to return the article to the child. Parents are invited to check this area whenever they come into the school.